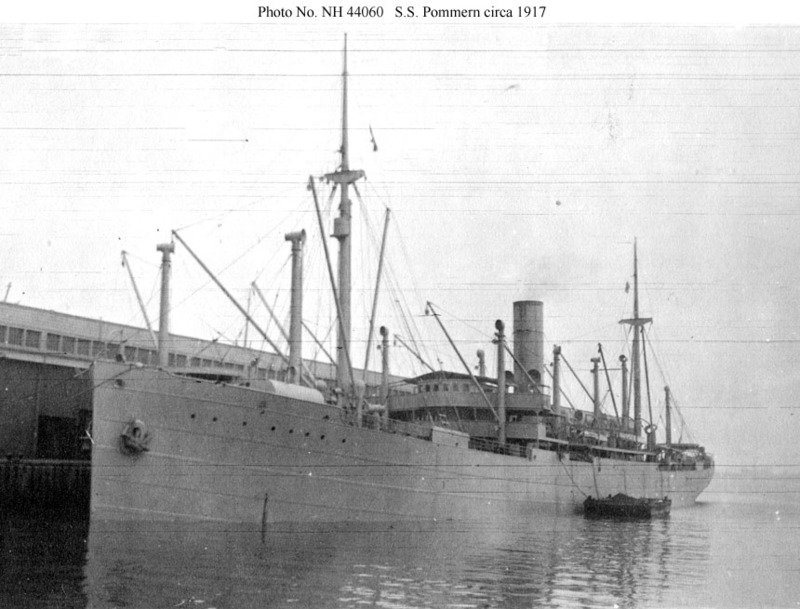 This German freighter was interned at Honolulu in August 1914 and was seized by the U.S. there in April 1917. In this view her German commercial markings have been painted out and she appears to have empty American-style gun platforms at both ends. 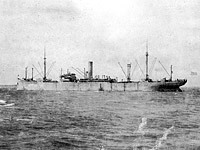 The photo may show her in Shipping Board hands before the Navy took her over in December 1917. 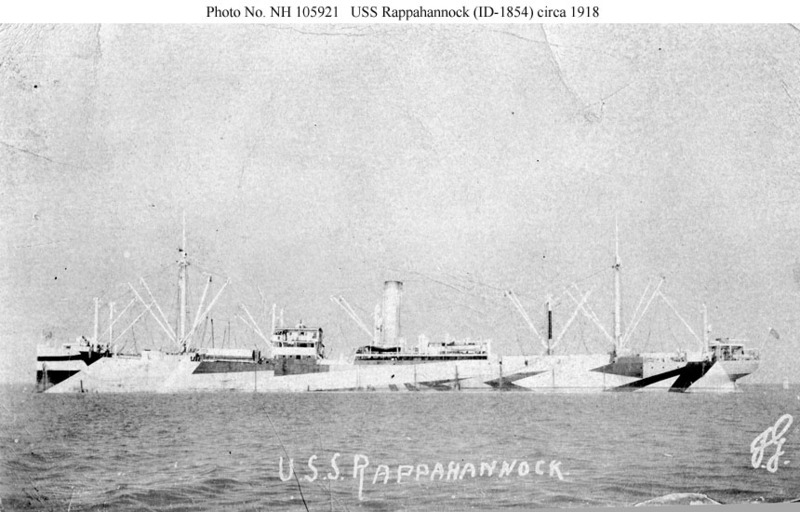 A postcard view of the ship in pattern camouflage circa 1918, possibly while operating for the Naval Overseas Transportation Service. Note the guns on platforms fore and aft. 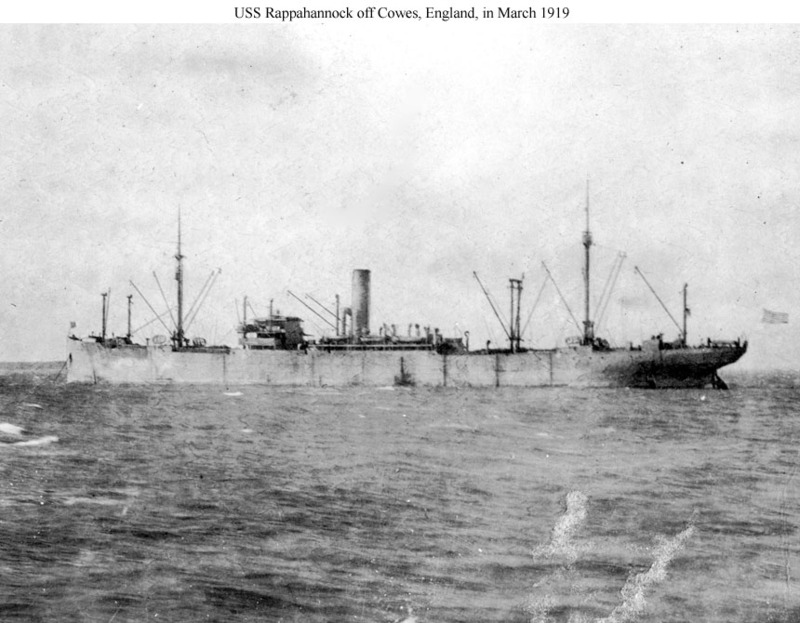 Off the Isle of Wight near Cowes, England, in late March 1919 supporting the delivery to the Allies by Germany of ocean liners that had remained in Germany during World War I. The liners were turned over under the terms of the Armistice to bring American troops home from Europe and were then retained by the Allies as war reparations. 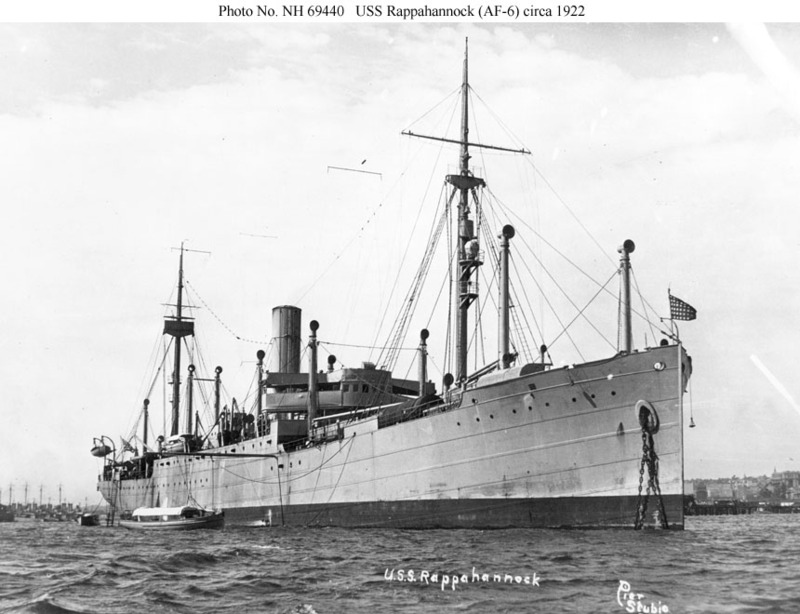 The Navy operated several of them, including USS Mobile, formerly the German Cleveland. The photo is from a scrapbook created by George Graham Smith of USS SC-254 that was broken up and sold on Ebay. SC-254 was at Cowes during the turnover. A colorized photo taken circa the early 1920s. The guns and their platforms had been removed by late March 1919. 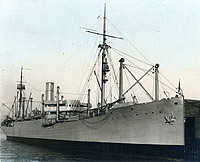 At San Diego, California, circa 1922. 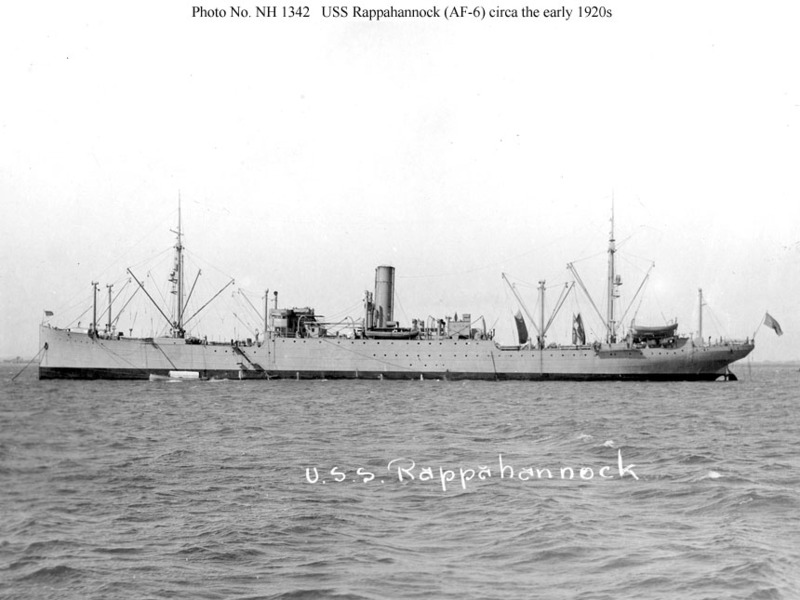 Rappahannock came out of reserve on the East Coast in mid-1921 and arrived at San Diego in December 1921. Although reassigned to Train, Atlantic Fleet, during 1922 she continued to visit the West Coast and was decommissioned there in 1924. 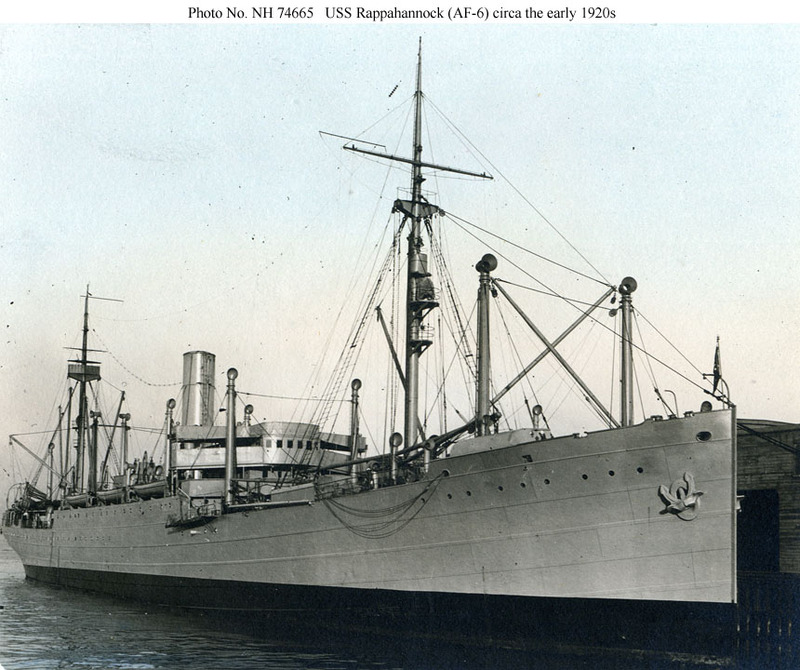 One of the destroyers in the background, USS Woodbury (DD-309) was lost on Honda Point, Calif., on 8 September 1923.